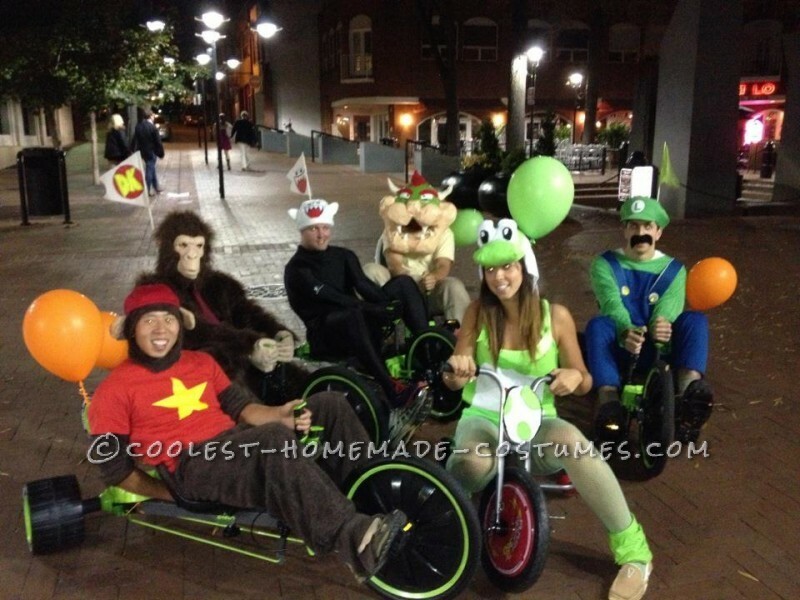 On the weeks preceding Halloween week 2012 our group put together six different Mario kart character costumes complete with matching adult size big wheels and flags. 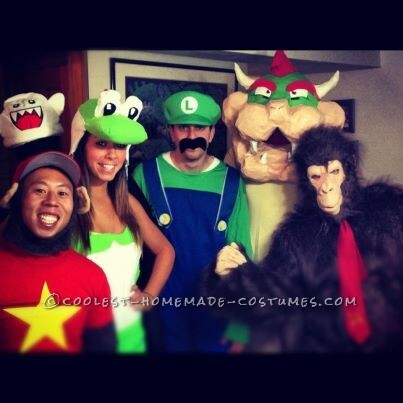 Bowser, Yoshi, Luigi, Donkey Kong, King Boo and Diddy Kong. We originally had a Mario, Peach and Toad but….well, you know the drill. 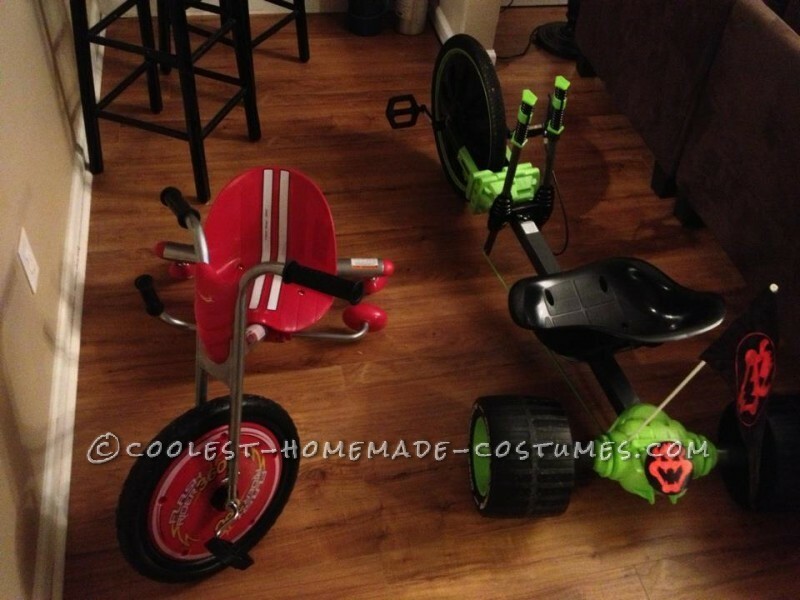 We all purchased “Huffy Green Machine” and “360 Razor” big wheels that claimed to hold up to 180 lbs. Lets just say they were able to hold a lot more than 180 lbs. 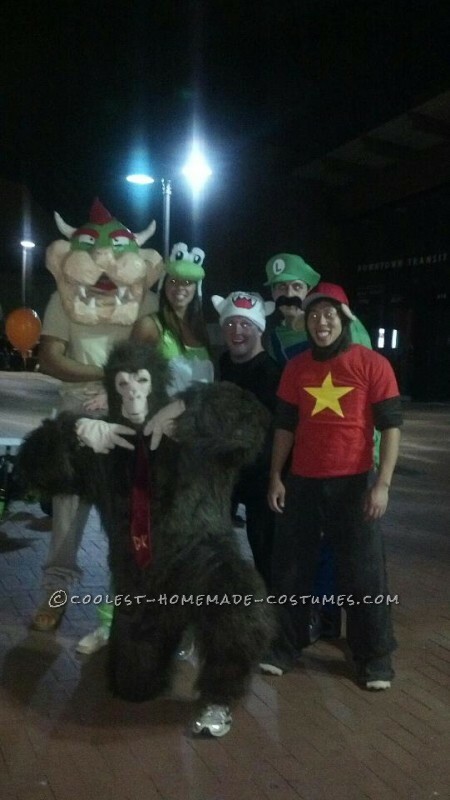 Bowser, Donkey Kong and King Boo all weigh at least 250 lbs. 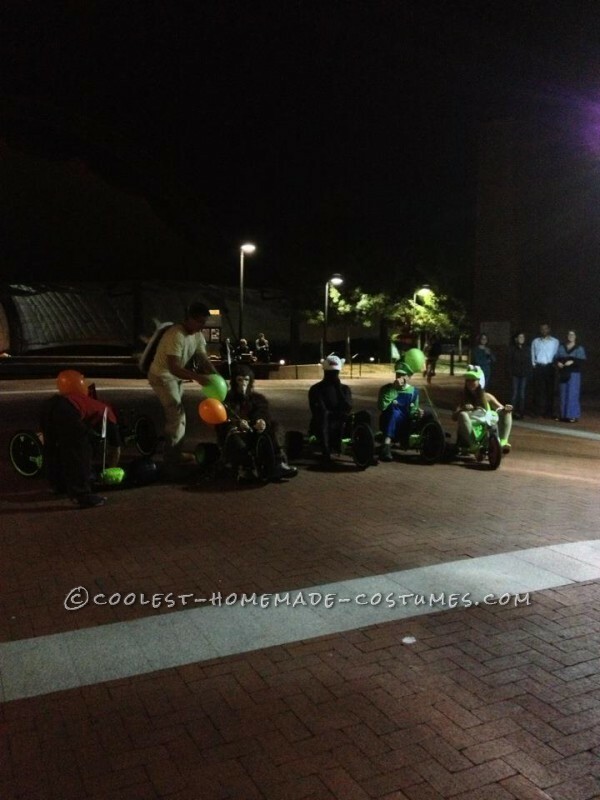 Bowser was created using paper mache and tan sweats/t-shirt. He sewed and stuffed a shell complete with spikes. 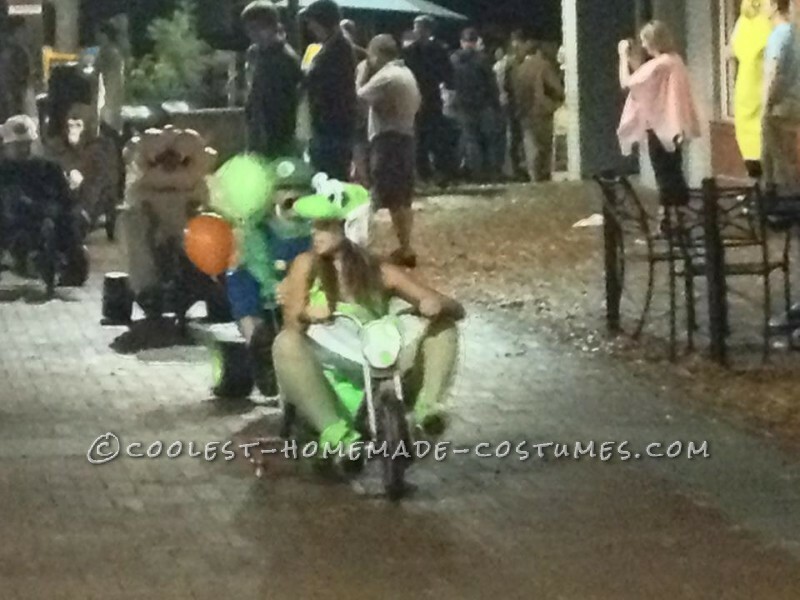 Yoshi wore all green and sewed a Yoshi head to a winter hat with a matching saddle and tail. 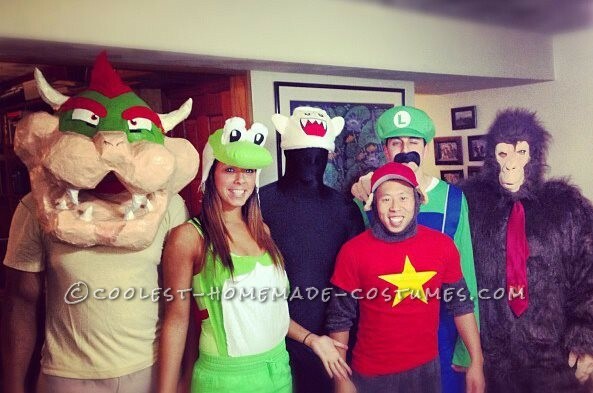 Luigi purchased his costume- but this is easily created with a pair of overalls, green hat and a mustache.